Your new year's resolutions list is full of "learn a new language, make new friends, travel to another country, have fun, do something new, meet people from all over the world"? Well, if that's the case we have good news for you: you do not need to wait for 2018! On December 4th we are opening a new class for Absolute Beginners where you can achieve all of that! You will not only learn Portuguese with top quality teachers, but you will be also making new friends from all over the world (and of all ages)! Australia, Canada, Japan, Finland, Belgium, France, Usa, Norway, Germany, South Africa are just some of the nationalities you will meet here at Portuguese Connection! 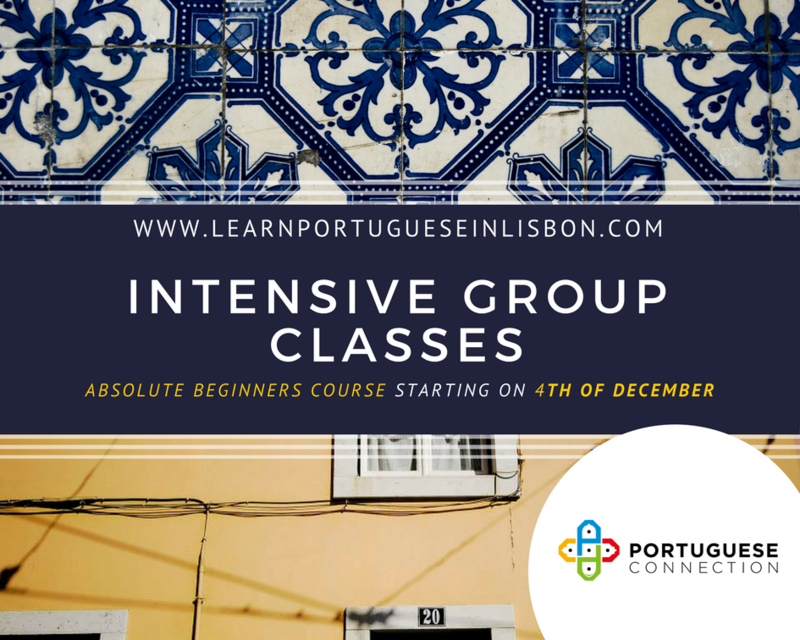 Our Intensive Group classes are perfect to learn the language in a relaxed environment and in small groups (average of 4-5 people, max. 9 people). You will hang out with your classmates and open your horizons, discovering Lisbon while getting to know different cultures! It is a 20-hour weekly course from Monday to Friday (9am-1pm) and you also have the chance of adding extra individual hours in the afternoon (Intensive Combined Classes)! And we have many more offers: check out all the Portuguese lessons that we offer! ILast but not least, if you book more than one week you have discounts up to 15%!